Flat markers in granite and bronze are available. The stylechosen must be consistent with existing monuments at the place of burial. Nichemarkers are also available to mark columbaria used for inurnment of crematedremains (VA will not compensate for additional costs relating to installationor granite bases). Contact your VA office for possible reimbursement ofcosts and any details. Also, contact us to confirm that we may provideand comply with VA offerings. 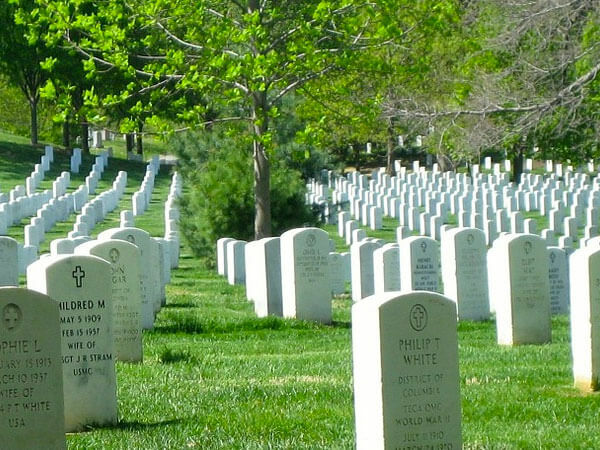 When burial or memorialization is in a national cemetery, state veterans' cemetery, or military post/base cemetery, a headstone or marker will be ordered by the cemetery officials based on inscription information provided by the next of kin or authorized representative.